MARKHAM, ON, May 6, 2013 /CNW/ - On Friday, Kinark Child and Family Services launched its 'Rise Against Stigma', online campaign to recognize Children's Mental Health Week, which occurs from Monday, May 6 to Sunday, May 12, 2013. The anti-stigma campaign asks youth, parents, and members of the community to sign our online pledge to support children and youth with mental health issues. This campaign aims to send a message to kids that it is not only important to ask for help, but equally important to support their classmates with mental health issues, and that it is never acceptable to make fun of them. By signing the pledge, it helps to remove the stigma of mental health, while showing our kids that they are safe to reach out for help. 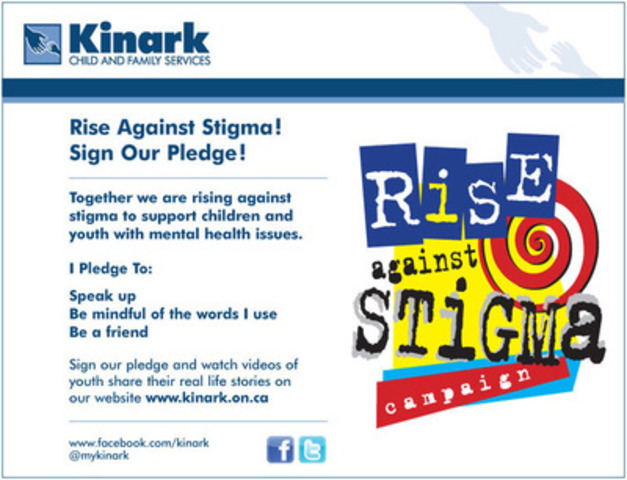 In addition to the pledge, Kinark posted videos on our web site, created specifically for this campaign. Each video features former Kinark youth Jacob and Jessica sharing not only their struggles with childhood depression and bullying but tips on how to fulfill the promises. These videos can be viewed on Kinark's website or on mykinark youtube channel. "There is a wide spectrum of mental health issues that our kids are facing, from anxiety and depression to eating disorders and schizophrenia. Left untreated, these issues can lead to problems in school, at home, and in the community," says Cathy Paul, Acting President and Chief Executive Officer, Kinark Child and Family Services. Children's Mental Health Week is designed to raise awareness and continue the conversation about mental health. Kinark Child and Family Services is the largest children's mental health organization in Ontario, providing expert help to children and youth, their families and communities. 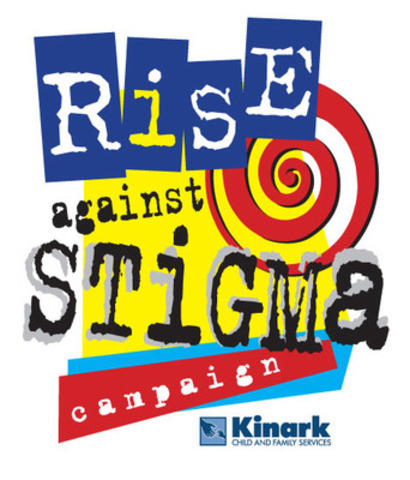 Kinark offers everything from parenting advice to help children and youth with chronic and multiple mental health issues intensive treatment and support for youth in conflict with the law, and an extensive range of programs for children and youth diagnosed with Autism Spectrum Disorder (ASD).